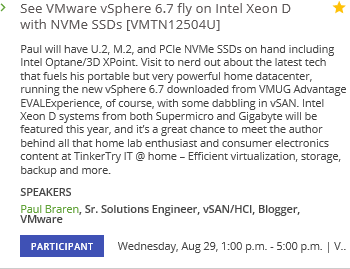 Back in June, I excitedly announced I'm going to VMworld 2018 US, my 7th time attending, and I get to present! 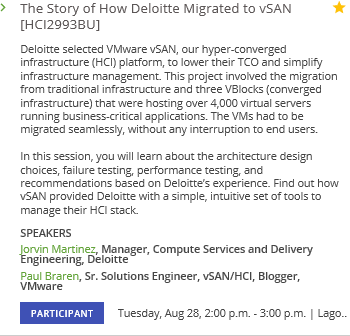 My presentation as a VMware employee had been accepted, but my proposal to present at the #vBrownBag was pending, and I didn't really know for sure if an invite from Community Leaders Corey Romero and Elsa Mayer would work out. 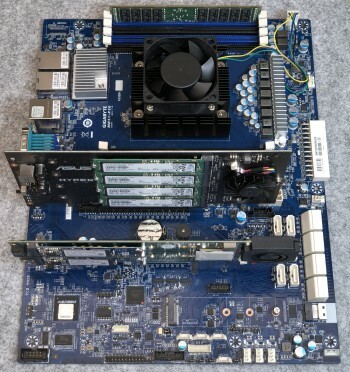 Featuring the popular Supermicro SuperServer and an (unreleased) GIGABYTE Server motherboard! 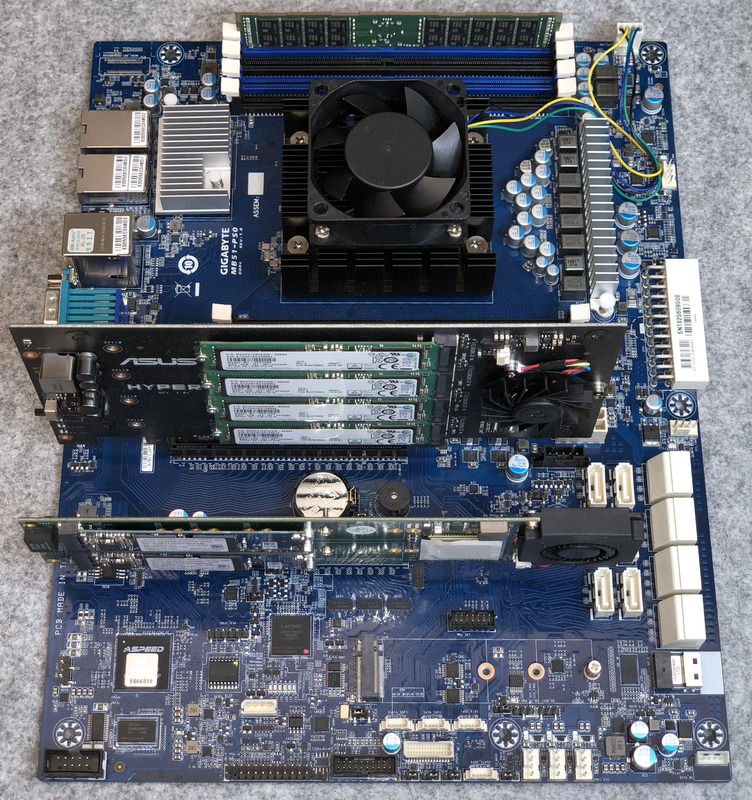 This year, I'll be featuring my Supermicro Xeon D-1541 SuperServer running vSphere 6.7 smooth as silk, with that awesome HTML5 UI. A special surprise this year is that a GIGABYTE Server MB51-PS0 that isn't even out yet! That's right, you can't even buy this particular Xeon D-2100 motherboard yet, but you sure can see it if you stop by my booth! 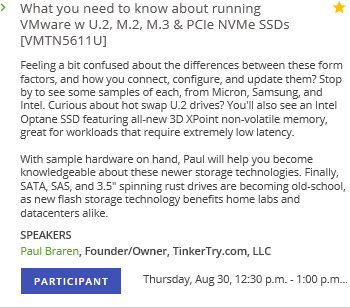 Of course, I'll have Intel, Micron, and Samsung NVMe SSDs with me too, in M.2, and U.2, and PCIe flavors, of course. As for software, you can see the list in the description section of this video, updated for vSphere 6.7 of course. Admittedly, I'm not too sure that a monitor will be provided, so extended live demos of software might be a challenge, we'll see. 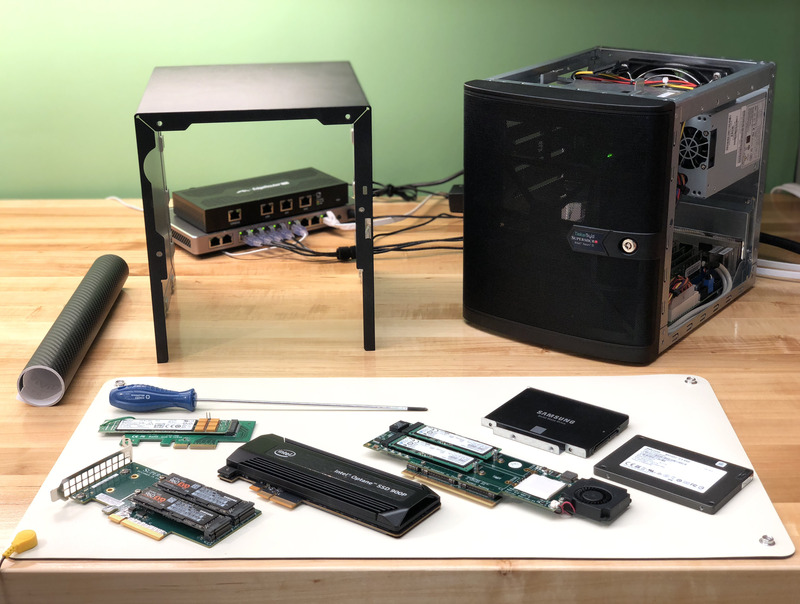 Hankering for more storage tech? Here's a list of all 3 sessions I'm presenting at. Playback of my VMTN TechTalk with vBrownBag is now available.